Filling a liquid into a flexible pouch is trending, from sport drinks to energy shots to freezer pops. 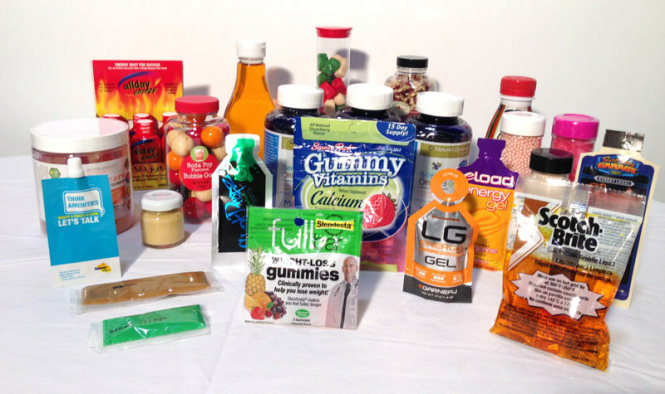 This is an automated process done on high speed filling lines, and while millions of liquid pouches are shipped annually to warehouses and retail outlets around the world, it is important to realize the additional risks associated with quality sealing of liquids into a pouch compared with filling of dry powders. If a seal of a pouch is compromised with a dry powder such as a spice, cake mix or dietary supplement, you can dispose of the “leaker” and blow out the emptied contents with air, salvaging the rest of the finished goods. Liquid “leakers”, on the other hand can drip unwanted juice or gel on other pouches, leach thru the retail cartons and form a residue on the other finished goods deeming all the finished goods bad which can prove to be very costly for both the vendor as well as the customer. Rework in these situations is difficult to accomplish and the challenges include finding the leaking pouch, cleaning the other goods affected and disposing of any chipboard or corrugated cartons that have been damaged in the process. Film Structure: Make sure the film structure will not only be strong enough for the specified fill weight of the liquid, but also that the sealant layer is robust enough to provide a strong, quality seal while still optimizing the high speed of filling. For stubborn liquids or oils that are known to leach into seal areas, consult with your film expert and request a better or thicker sealant layer such as Surlyn. The additional cost is negligible and it can be a cheap insurance policy for you and your company by protecting against leaking pouches. “Waffle” pattern and clean Teflon tape on the sealing jaws: If your contract filler does not use a waffle pattern on their sealing jaws, request that they do. You don’t need to be an expert to request this and every liquid filling company uses it because it provides a redundancy thru a textured pattern that helps guarantee that no liquid can get into the seal area because in essence it acts as multiple seals. Also, regular cleaning of the Teflon tape that is on the sealing bars is paramount as a residue build-up can occur and it is not always caught by visual quality checks. Make sure there is a regular cleaning or changing of the Teflon tape as dictated by each individual case. Transportation: Be cognizant of the transportation methods and routes when shipping your production to their final destination. If product is shipped thru the Rockies, for example, be aware that the pressure on pouches will be magnified due to the elevation which could place additional stress on the seal areas of a liquid pouch. Also, if overnighting product you must consider the pressure at high altitudes can cause liquid pouches to leak or even explode. You can investigate these theories by doing test shipping using your intended methods and routes to ensure your liquid pouches will not be compromised. Have a rework agreement in place: Finally, be intentional with your vendor and work together up front to establish a recovery or rework plan in case the pouches are found to be leaking at their final destination. Since there are a number of culprits that can contribute to the failure of a pouch or seal it is important to discuss them with your partner and agree on corrective action in case the worst thing happens. Discuss the potential costs of product return and rework and who will be responsible in case it does happen. This way the terms of the quality proposition will be mutually acceptable before you fully commit to a formal working relationship with your liquid pouch filler.